As Pittsburgh’s population multiplies (six times between 1794 and 1820), the city requires an academic institution with full university powers to better serve the region’s rising generations. 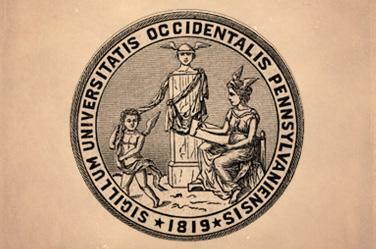 On Feb. 18, 1819, at the request of Pittsburgh Academy trustees, the Pennsylvania legislature recharters the school as the Western University of Pennsylvania. 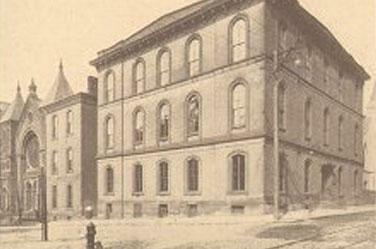 The University moves into a three-story building on Third Street in downtown Pittsburgh that student (and future banker) Thomas Mellon calls “large and imposing.” Early on, some top-floor rooms are rented to students as living quarters. 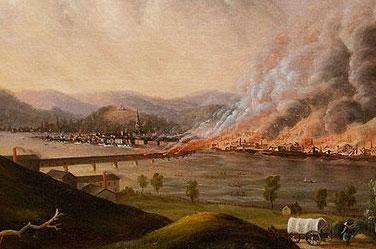 Pittsburgh’s Great Fire of 1845 destroys some 900 buildings, including the University’s Third Street home—and with it, all of the University’s records, files, books, and scientific equipment. Some trustees want to cease operations, but a local church offers its basement as temporary classroom space until the University can construct a new building. 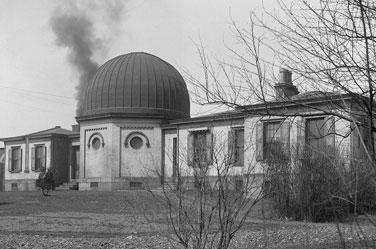 The original Allegheny Observatory (pictured) is donated to the University. The current Allegheny Observatory, completed in 1912 in Pittsburgh's Riverview Park, houses the world's third-largest refracting telescope and remains both a part of Pitt and one of the world's major astronomical research institutions. After fire destroys downtown Pittsburgh’s Allegheny County Court House, the University agrees to sell its downtown land and buildings to the county and move to Allegheny City, now Pittsburgh’s North Side. William Hunter Dammond earns a degree in civil engineering (with honors), becoming the University’s first Black graduate. 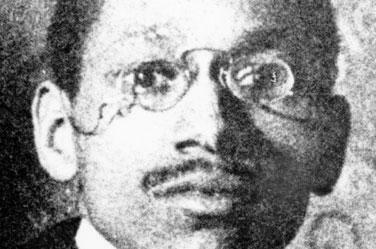 Dammond is remembered as an engineer, mathematician, professor, and inventor who made noteworthy contributions to the railroad industry, which employed large numbers of African Americans. 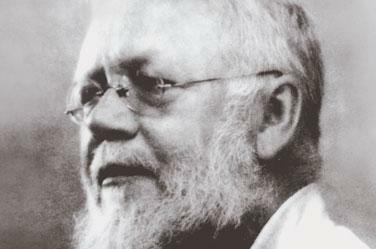 Pitt astronomer Samuel Langley launches the first power-driven, heavier-than-air flying machines. 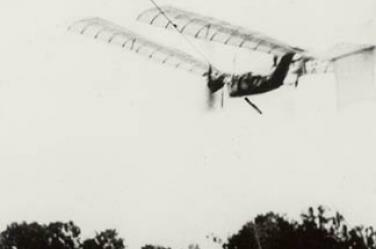 On May 6, 1896, his prototype—an unmanned, steam-driven aerodrome—takes off into the sky from a secluded spot along the Potomac River in Washington D.C. It flies at 25 mph for more than a minute. On November 28, another Langley aerodrome travels 4,200 feet at 30 mph. John Brashear becomes director of the University’s Allegheny Observatory. A pioneering astronomer, “Uncle John”—as Pittsburghers fondly called him—built his first telescope in 1870 and produced many scientific instruments still in use today. 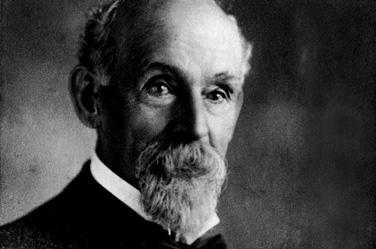 He serves as Pitt chancellor from 1901 to 1904. 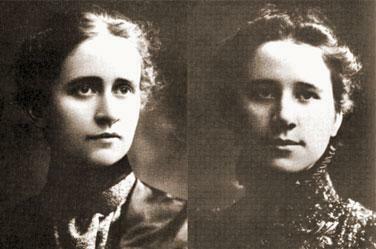 Sisters Margaret and Stella Stein, the first women students admitted to the University, graduate with BA degrees, tying for first in their class. Years earlier, their male classmates had voted not to admit women, but the University’s administration, hoping to boost enrollment, had overruled the vote. 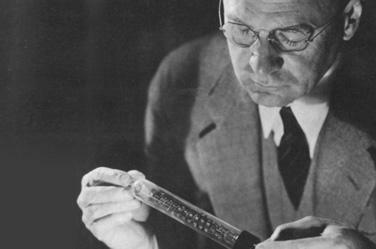 Engineering professor Reginald Fessenden proves that radio waves can transmit human speech. Fessenden makes broadcast history in November 1906 when he transmits his chief engineer’s voice across the Atlantic Ocean. 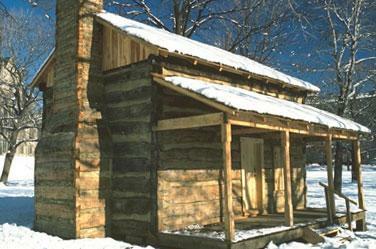 On Christmas Eve, he broadcasts Christmas carols and a violin solo. 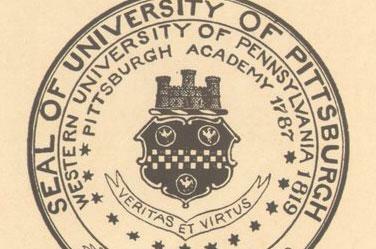 The Western University of Pennsylvania changes its name to the University of Pittsburgh, citing the following reasons: 1.) 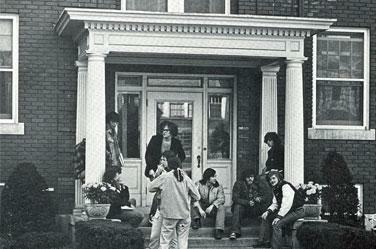 The old name gave no hint as to the University’s location; 2.) the University’s acronym of WUP, pronounced whup, was thought to be undignified; 3.) a shorter name was desirable; and 4.) 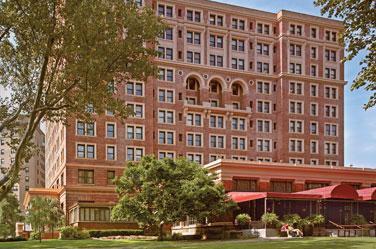 some people mistakenly believed the University was a western branch of the University of Pennsylvania. The University of Pittsburgh adopts the panther as its mascot, for the following reasons: 1) The panther was a fearsome animal indigenous to the area, 2.) it was historically considered noble, 3.) “the happy accident of alliteration,” 4.) the panther’s coloring matches the old gold in Pitt’s blue-and-gold colors, and 5.) 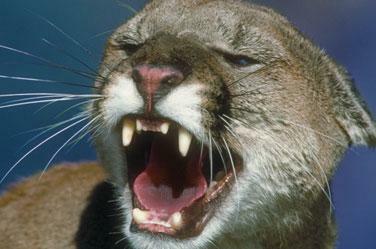 no other college or university had a panther mascot at the time. 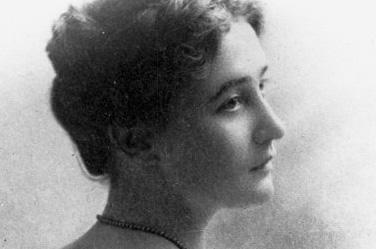 Together with Leonor Michaelis, Maud Menten develops an equation to help study rates and mechanisms of enzymatic reactions. Five years later, she joins Pitt’s Department of Pathology, where she remains for the rest of her career. The Michaelis-Menten equation becomes pivotal in biochemistry and is cited as the foundation of modern enzymology as well as a powerful tool for drug discovery. Pitt sends a medical team to France to treat U.S. soldiers. 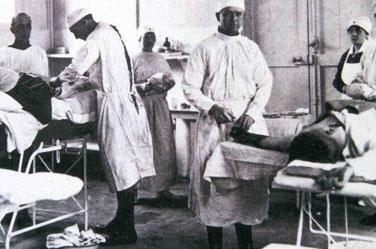 Private citizens who believed that America would enter the war on the side of Britain and France had contributed time and money to establish a medical training camp before the United States formally declared war. As a result, Pitt’s medical school had a field hospital unit ready for service the day after the United States declared war on Germany. Launching a tradition that still continues, Pitt freshman women holding lighted candles assemble to hear the wisdom of their elders. College administrators, especially deans of women, say they hope "sensible" ceremonies such as Lantern Night will replace the wild and often dangerous hazing practices of college men. Vladimir Zworykin files a patent entitled “Television Systems,” describing cathode ray tubes as both transmitters and receivers. 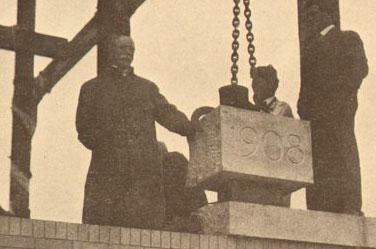 Following an unsuccessful demonstration at Westinghouse, Zworykin refines his invention at Pitt, where he earns his PhD in 1926. A decade later, Zworykin’s cameras are among those used to broadcast the 1936 Berlin Olympic Games to public theaters—the same Olympics where Pitt’s John Woodruff wins the gold medal in the 800-meter run. 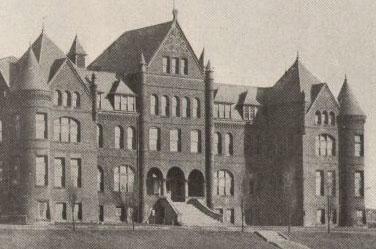 Pitt’s first regional campus opens in Johnstown, Pa. One of the first branch campuses of a major university in the United States, the University of Pittsburgh at Johnstown is a four-year degree-granting, fully accredited, undergraduate college combining the academic reputation and resources of a major research university with the appeal of a small college. 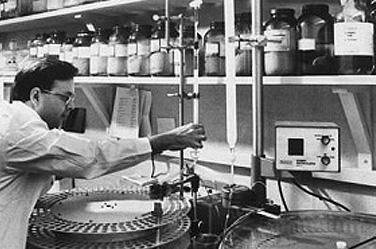 After five years of research, Pitt chemistry professor Charles Glen King and his research team isolate and identify the chemical structure of vitamin C. Thousands of lemons give their lives in the interest of science and to defeat scurvy, an often-fatal disease caused by vitamin C deficiency. 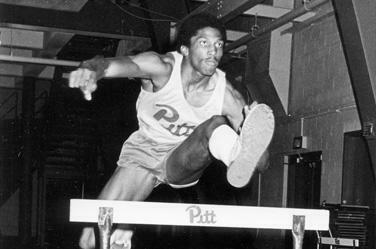 John Woodruff wins a gold medal in the 800-meter run at the Olympic Games in Berlin—the first Olympic medal won by a Pitt athlete, and the United States’ first gold in the 800 meters in 24 years. 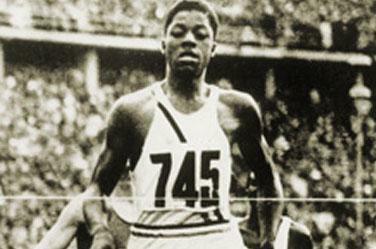 During the race, Woodruff found himself boxed in by more experienced runners. He came to a near-stop, let the other runners pass him, and moved to an outside lane. He then took the lead and held it to the tape, finishing in 1:52.9. 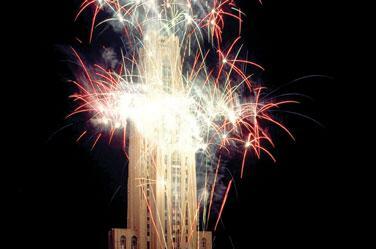 Pitt dedicates the 42-story Cathedral of Learning, still the tallest educational building in the Western Hemisphere and the second-tallest in the world, after the University of Moscow’s main building. 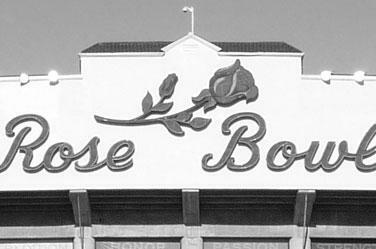 Pitt’s football team wins the Rose Bowl, its first bowl victory. The Panthers headed to Pasadena in style, wearing the first traveling uniform issued to a college team—gray slacks and gray shirts with a Pitt monogram. During the war, 9,508 Pitt students, alumni, faculty, and staff members serve in the U.S. armed forces; 249 of them are killed. 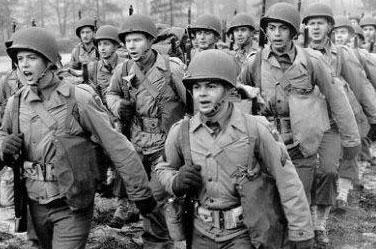 Pitt publishes a booklet, “Soldiers Belong Here,” for the thousands of military personnel who train and take classes at the University from 1942 to 1945. 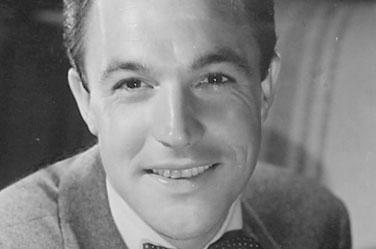 An American in Paris, starring Pitt grad Gene Kelly, wins an Academy Award for Best Picture as well as six other Oscars, including one citing Kelly’s “extreme versatility as an actor, singer, director, and dancer, but specifically for his brilliant achievement in the art of choreography on film.” Kelly’s next Oscar-winner would be the sublime Singin' in the Rain, commonly ranked among the best musical comedies ever made. 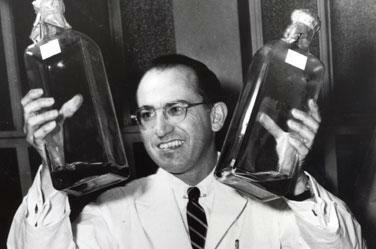 The polio vaccine developed by Pitt professor Jonas Salk and his research team is declared to be “safe, effective, and potent” following an unprecedented, massive testing in the United States and Canada. 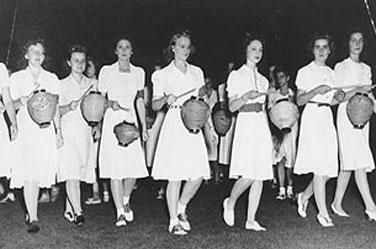 Within a few years, the number of polio cases in the United States drops from a high of 57,900 to barely a handful. Wilfrid Sellars lays the groundwork for his new, systematic approach to philosophy with his paper, “Empiricism and the Philosophy of Mind,” which seeks to unite scientific views of reality with more intuitive ways of describing the world. This framework becomes known as the “Pittsburgh School” when Sellars comes to Pitt in 1963, where he will teach until his death in 1989. 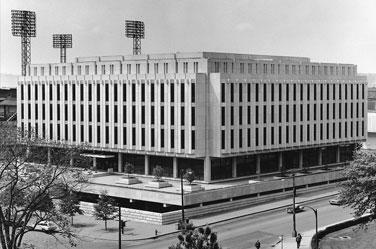 Pittsburgh is the final stop on Soviet Premier Nikita Khrushchev’s 11-day U.S. tour. 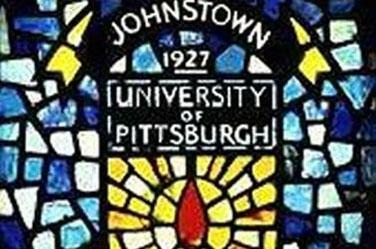 “Let us live in peace, and let us have sincere competition,” he says during a Pitt-hosted luncheon in the ballroom of Schenley Hall, now the William Pitt Union. Pitt Chancellor Edward Litchfield thanks Khrushchev for bringing up the subject of competition, which Litchfield calls “essential to our society. 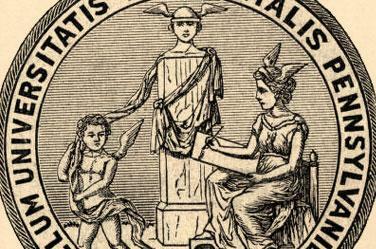 We build institutions about it… ." 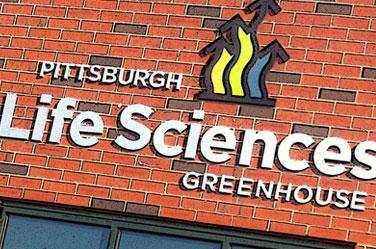 Classes begin at new Pitt regional campuses in Bradford, Greensburg, and Titusville. UPB and UPG are comprehensive four-year undergraduate campuses. 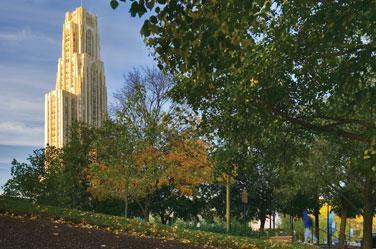 UPT is Pitt’s only two-year campus. 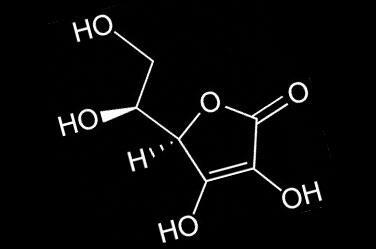 Pitt’s Panayotis Katsoyannis performs the first chemical synthesis of a polypeptide hormone—insulin—and combines it with biologically active material, providing the means to explore and validate previous assumptions about the active amino acids in the insulin molecule. 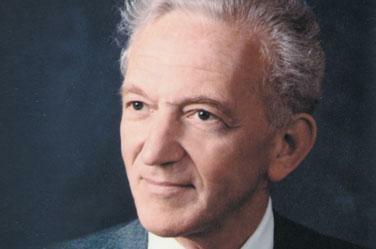 Katsoyannis goes on to also synthesize both oxytocin and vasopressin. 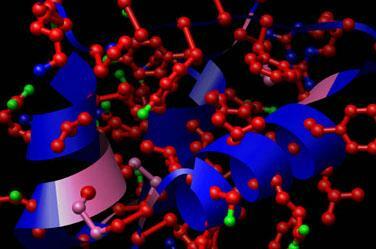 Pitt scientists complete the first synthesis of insulin, the first time a true protein was ever synthesized. Prior to this, insulin for human use was obtained from sheep and cows in a process that was messy, complicated, and expensive. Pitt’s Hillman Library opens, with a million books. In 2008, Pitt’s University Library System acquires its 5-millionth volume, Making the Impossible Possible by Pitt alumnus and trustee William Strickland. Besides print materials, ULS features digital collections, including the most extensive documentation of the European Union’s formation. Pitt is elected to the Association of American Universities (AAU), an organization comprising North America’s leading research universities. 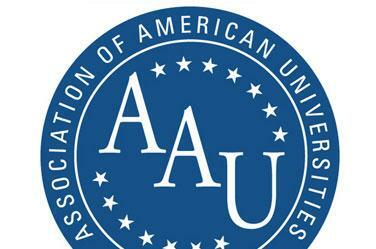 Founded in 1900, the AAU focuses on issues important to research-intensive universities, including funding for research, research and education policy, and graduate and undergraduate education. Pitt wins its ninth national championship in football, and Panthers running back Tony Dorsett wins the Heisman Trophy as college football’s top player. 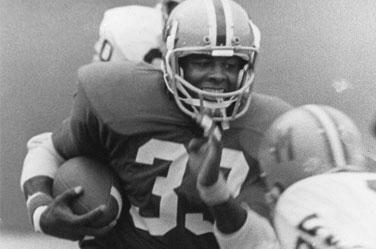 Dorsett finishes the 1976 season with 1,948 yards—an NCAA record—and 23 touchdowns. Pitt’s Peter Safar, who developed CPR, founds Pitt’s International Resuscitation Research Center, a pioneer in intensive care medicine. 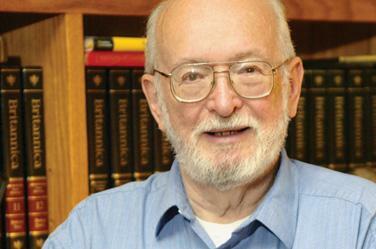 When Patrick Kochanek succeeds Safar as director in 1994, his first act is to rename the center after its founder. 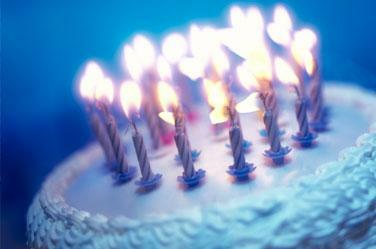 Since 1995, Safar Center investigators have received more than $50 million in research grants. Following a $13.9-million renovation, Pitt’s student union—formerly called Schenley Hall—reopens as the William Pitt Union. In addition to upgrading offices for student organizations, the work restores the Beaux-Arts elegance of the building back when it was the Schenley Hotel, lodging place of presidents (from Theodore Roosevelt to Dwight Eisenhower) as well as royalty from Hollywood (including Katharine Hepburn and Spencer Tracy) and baseball (Babe Ruth and Ty Cobb, among others). Roger Kingdom (CGS ’02) wins the gold medal in the 110-meter high hurdles at the Olympic Games in Los Angeles, then proceeds to take another gold in the same event in the 1988 Seoul Olympic Games. 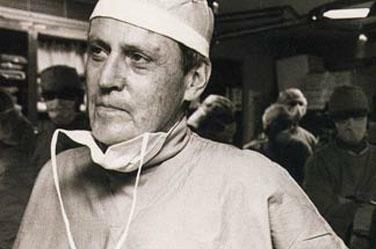 Pitt surgeons Thomas Starzl (pictured) and Henry Bahnson perform the world's first double transplant operation (simultaneous heart and liver) on a six-year-old girl from Texas. 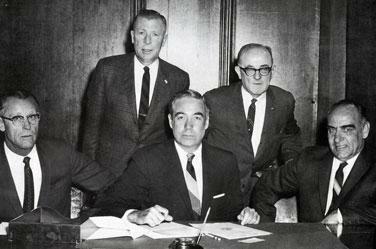 The pioneering work of Starzl, Bahnson, and others establish Pitt as a world leader in organ transplantation. 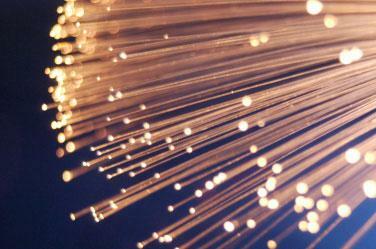 Pitt installs the first campus-wide fiber optic network in higher education, giving students, faculty, and staff access to high-speed data and communications. 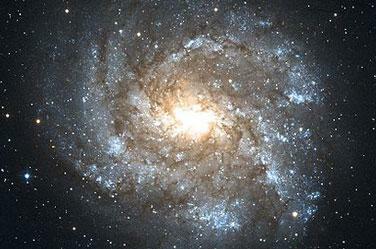 Pitt astronomer David Turnshek identifies the most distant galaxy known. Turnshek, at the forefront of studying galaxy formation, uses all of the major ground-based telescopes in Arizona, California, and Chile; he is also a major user of the Hubble space telescope. Mary Edmonds is elected to the National Academy of Sciences for her research of poly (A) tails—a sequence of nucleotides to protect messenger RNA from degradation during transcription. 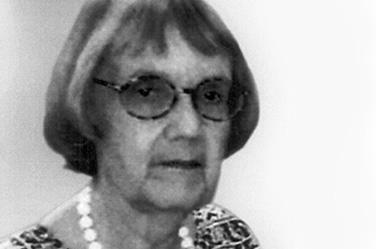 Edmonds began her 37-year teaching tenure as a professor of biological sciences at Pitt in 1955. Today, Pitt bestows the Mary Edmonds Award to recognize the best graduate student publication in the biological sciences. 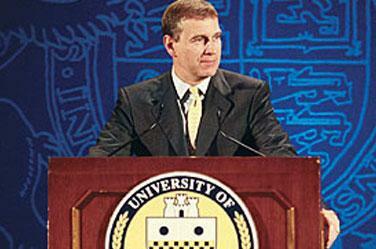 Pitt launches its $500-million “Discover a World of Possibilities” capital campaign. After surpassing that total, in 2002 the University doubles the goal to $1 billion. 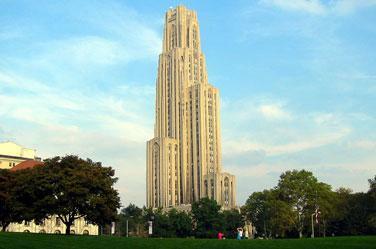 Four years later, Pitt doubles the goal yet again, to $2 billion. The University had raised $1.85 billion as of January 2012. 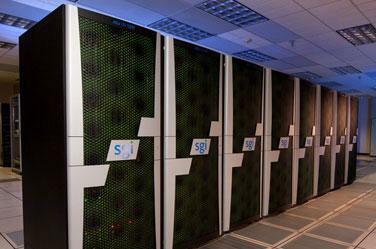 The Pittsburgh Supercomputing Center, jointly run by Pitt, Carnegie Mellon University, and Westinghouse Corp., receives $45 million to operate the most powerful nonmilitary computer in the world. 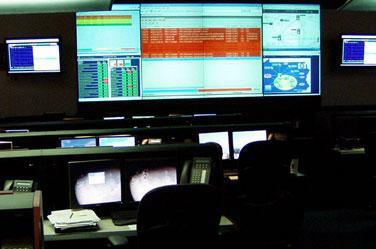 The Terascale Computing System is the size of a basketball court and can predict weather, map chemical body reactions, and model earthquakes. The system has 10,000 times the memory of an average computer and the capacity to perform 6 trillion calculations per second. Pitt, in conjunction with Carnegie Mellon University, unveils a $600-million plan to boost Pittsburgh’s biotechnology industry. The universities apply their expertise in life and computer sciences toward drug discovery, therapeutic strategies for neurological disorders, tissue engineering, and medical devices. Pitt alumnus Michael Chabon wins the Pulitzer Prize for Fiction for his novel, The Amazing Adventures of Kavalier & Clay. His first novel, The Mysteries of Pittsburgh, had been largely inspired by his days as a Pitt undergraduate. His second novel, Wonder Boys, was made into an Oscar-nominated movie. Rumor has it that Wonder Boys’ main character, Grady Tripp, was based on Pitt writing professor and novelist Chuck Kinder, Chabon’s former teacher. President George W. Bush meets with Pitt researchers to discuss efforts to combat bioterrorism. After touring Pitt and UPMC labs, Bush says of Pittsburgh, “They need to call it ‘Knowledge Town.’” Bush lauds Pitt’s development of the Real-time Outbreak Disease Surveillance system (RODS), which received a $6 million grant from the Department of Defense. In recognition of Pitt’s unparalleled record of achievement in the Marshall Scholarship Competition and to commemorate the 50th anniversary of the Marshall Scholarship Program, His Royal Highness Prince Andrew, The Duke of York, designates the University as a Marshall Center of Excellence during an Oct. 24 luncheon in Pitt’s Alumni Hall. Paul Lauterbur (ENG ’62G)—along with Peter Mansfield—is awarded the Nobel Prize in Physiology or Medicine for work in magnetic resonance imaging, the idea for which Lauterbur scribbled on a napkin at a local Big Boy restaurant when he was a Pitt doctoral student. 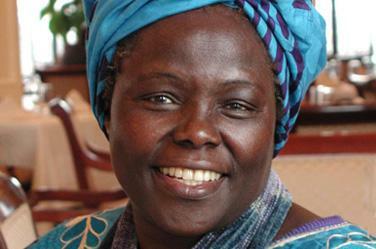 Wangari Maathai (A&S ’65G) is awarded the Nobel Peace Prize for her work as a human rights advocate, including her founding of the Green Belt Movement, which mobilizes Kenyans, many of them women, to plant trees—providing employment for them and renewable resources for their villages. She is the first African woman, and Pitt grad, to win a Nobel Peace Prize. 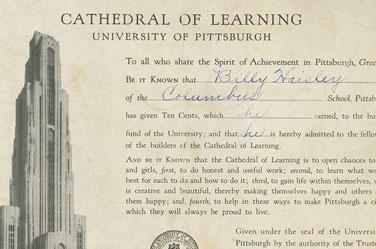 Pitt trustees approve a $4.8-million project to clean and restore the Cathedral of Learning, which coincides with the building’s 70th anniversary and the University’s 220th birthday. 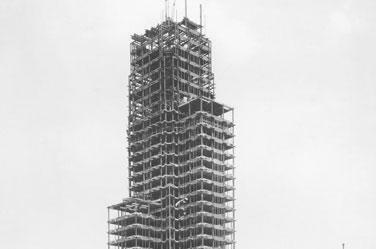 The project’s most visible result is the removal of nearly 70 years of soot and grime, but workers also repair damage to the limestone façade. At a White House ceremony, alumnus Bert W. O’Malley becomes the fifth Pitt-affiliated winner of a National Medal of Science, the nation’s highest honor for science and engineering. 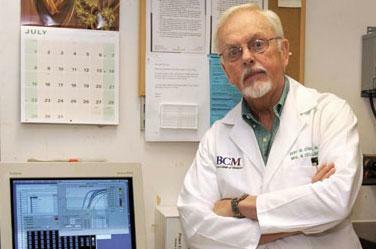 O'Malley is honored for his contributions to the fields of endocrinology, reproduction, genetic disease, and endocrine cancers. 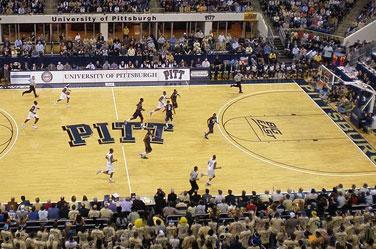 On January 5, for the first time in school history, the Pitt men’s basketball program is ranked No. 1 in the weekly Associated Press and USA Today/ESPN coaches polls. Pitt maintains its top 20 ranking among U.S. public universities in U.S. News & World Report’s annual “America’s Best Colleges” listings, and Pitt graduate schools and programs perennially earn high grades in U.S. News’ Best Graduate Schools rankings. Also in 2010, Pitt placed 15th among U.S. public institutions of higher education and 64th worldwide in the London-based 2010-11 Times Higher Education rankings. 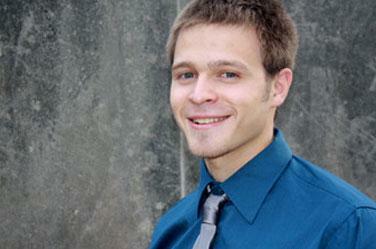 Pitt’s Cory J. Rodgers is named a 2012 Rhodes Scholarship winner. He is the seventh Rhodes Scholar to have received a Pitt undergraduate education, and the fourth in the last seven years. Pitt students also have won numerous other highly competitive national and international scholarships, including Churchill, Gates Cambridge, Goldwater, Marshall, Truman, and Udall Scholarships. 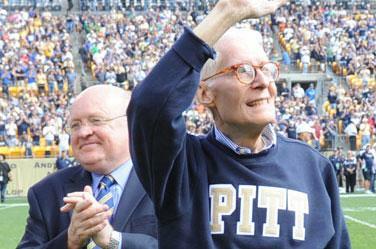 Pitt trustee and former Board of Trustees chair William S. Dietrich II—a business leader, investor, author, and philanthropist who earned his MA and PhD from Pitt—gives the largest single gift to Pitt in its 225-year history, a $125 million fund. Weeks later, on October 6, Dietrich dies after an extended illness. 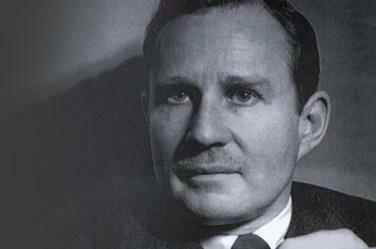 On October 28, Pitt trustees vote to name the University’s arts and sciences school the Kenneth P. Dietrich School of Arts and Sciences in honor of Dietrich’s father. 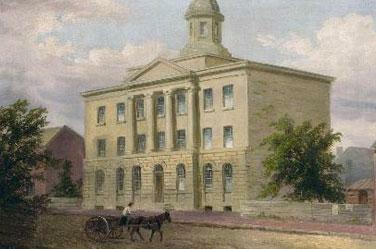 Pitt celebrates 225 years of building better lives.